Dr. Michel Handgraaf received his Master’s degree in Psychology from the University of Amsterdam and his Ph.D in Social Psychology at Leiden University. His dissertation dealt with the role of fairness in economic situations. 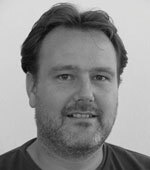 After a postdoc at the department of Economic Psychology at Tilburg University, and an assistant professorship at Work and Organizational Psychology at the University of Amsterdam, he recently moved to Wageningen University where he is associate professor at the department for Economics of Consumers and Households. In 2006 he first visited Columbia University’s Center for Research on Environmental Decisions (CRED), and became an affiliate, and later one of the PIs. Most of Handgraaf’s research uses (field) experimental methods, can be described as “behavioral economics”, and mainly deals with differences between what rational economic theories would predict and the psychology behind deviations from such predictions. Early research focused on preferences people have with regard to fair distributions, as well as on the effect of power on concern for others. More recent research focuses on the psychological aspects of (un)ethical decisions and lying and the effects of hormones on social decision-making. Handgraaf’s current research with CRED takes place in both lab and field and focuses on decisions in the environmental domain. These decisions typically feature uncertainty, temporal tradeoffs and social tradeoffs. The research deals with differences between individual and group decisions in dealing with these features, investigating how individuals and groups make decisions and whether or not these decisions differ in terms of process and decision outcome and quality. Another line of research investigates the effects of feedback and reward – particularly the difference between social and monetary feedback and rewards – on energy consumption and environmental behavior more generally. Handgraaf also contributes to the EU-funded Off4Firms project on Employer-led CO2 and Energy Reductions by Employees with CRED Advisory Board Member and Project PI Renate Schubert.